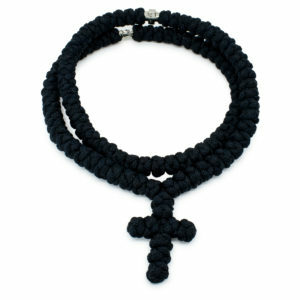 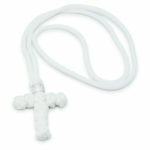 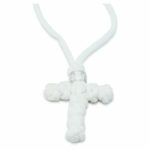 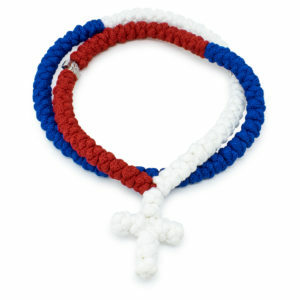 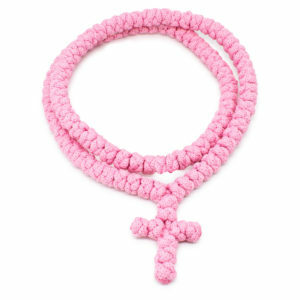 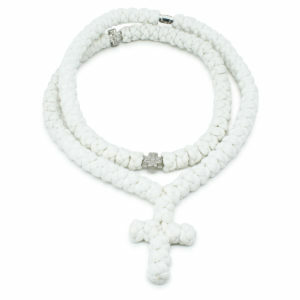 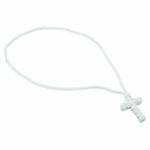 Look at this amazing woven cross necklace in the color white! The cross is meticulously hand-knotted with traditional prayer rope technique. 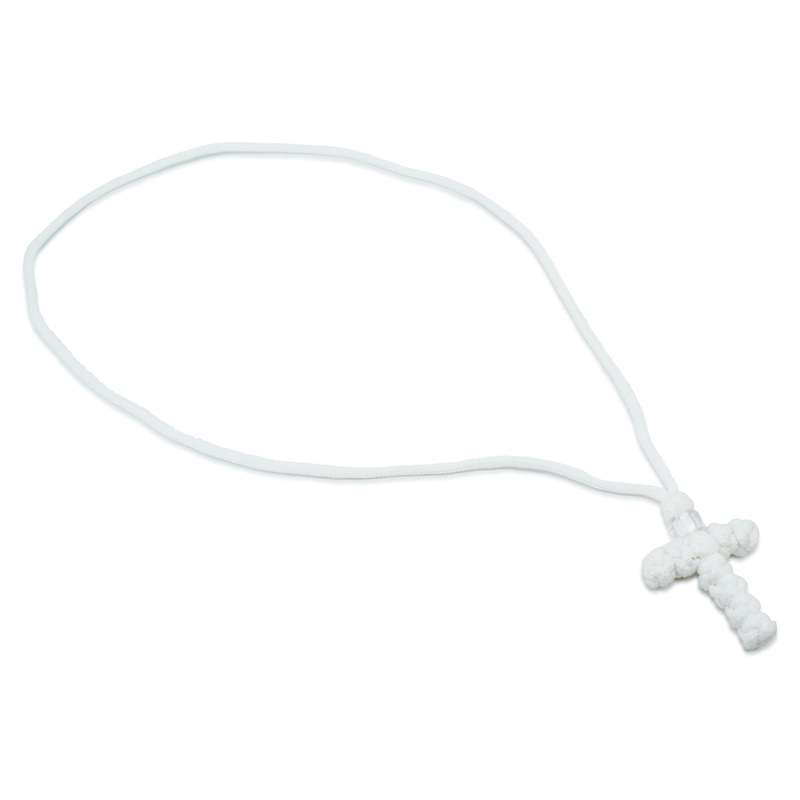 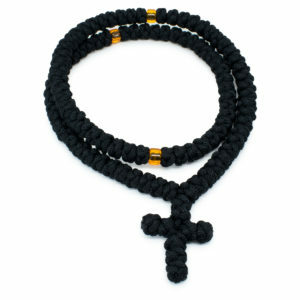 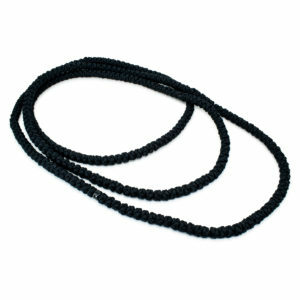 This necklace also features one white bead and is blessed by the Church.